On Saturday, October 25th, for one day only, The Upper House in Leaside will offer a five per cent down payment on two storey, boutique-style townhomes. The condo and townhouse development by Knightstone Capital Management Inc. is currently in preconstruction at 25 Malcolm Road. Two bedroom and two bedroom plus den/office townhomes are available, ranging in size from 1,059 to 1,509 square feet. Prices start in the mid $600,000s. Two bedroom units feature open-concept living and dining room areas, two and a half bathrooms and spacious patios with gas barbecue hookups. The two bedroom plus den/office layouts are ideal for growing families, as the second floor office could be easily converted into a nursery. These larger units have many of the same design features but come equipped with notable extras such as walk-in closets, kitchen islands with seating and under stair storage. Interior finishes and features will include pre-finished hardwood flooring, stacked washer/dryer units, under mount LED cabinet lighting, quartz kitchen countertops, stainless steel appliances, soaker tubs and frameless glass showers. 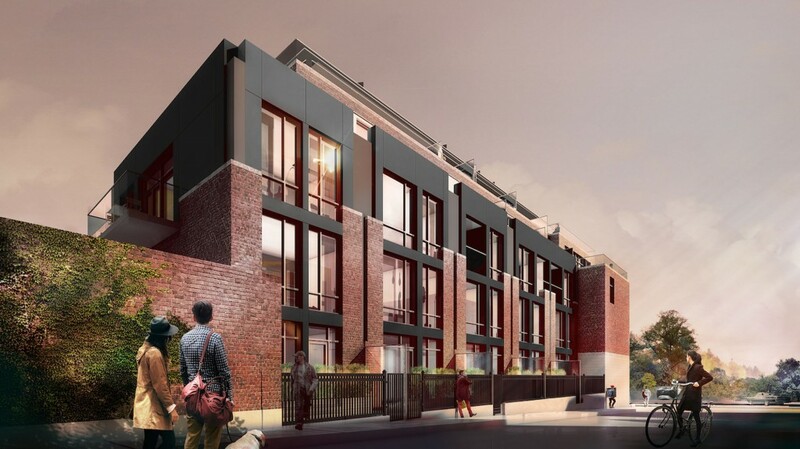 Townhome owners will have unlimited access to convenient Upper House amenities. The exercise room will include first-rate cardio and weightlifting equipment. The rooftop terrace offers alfresco lounging and dining areas, a firepit and barbecues. The party room is equipped with a full catering kitchen, entertainment area, fireplace and flatscreen TV. The pet spa has a large wash-basin and ramp, hydraulic clipping table and adjustable blow dryer for beautifying your cat or dog. Secure underground parking will also be available to residents. The Upper House sales centre is located at 25 Malcolm Road in Leaside. This opportune sales event will take place on Saturday between 12pm and 5pm.